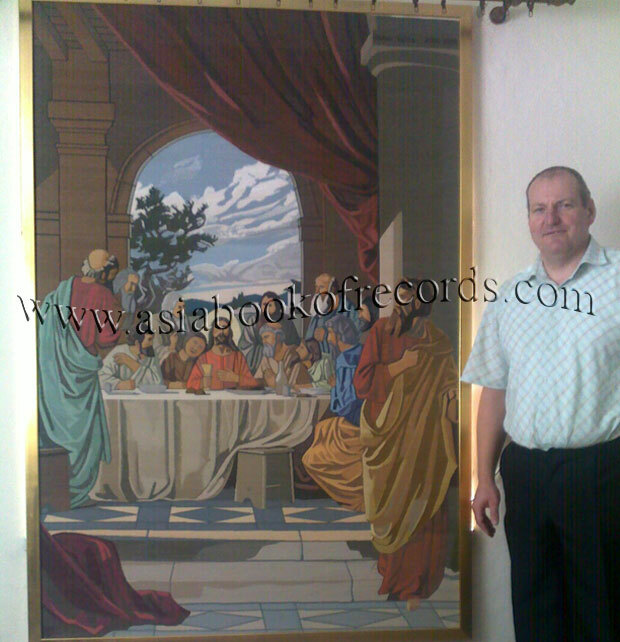 Alexander Abrosimov of Slovakia created a cross stitch embroidery of Lord Jesus consist 871 columns and 126 rows measuring 134 cm X 194 cm using 2000 packets of 8 m long cotton thread by giving 1,111,111 stitches. He took 10 000 hours over 10 years to create this embroidery. Comments for Largest Cross-Stitch Embroidery ( Single Person) are now closed.